Yes. I did it: bought the GoPro Hero 6 Black (https://shop.gopro.com/cameras) and have been using it for some time now while Freediving and Spearfishing here in Mexico. Time for a Review. I’m a serious Spearo and Free diver, my Review is not technical. It is to the point and written by a real person for people like you and myself, jeje. Short history. 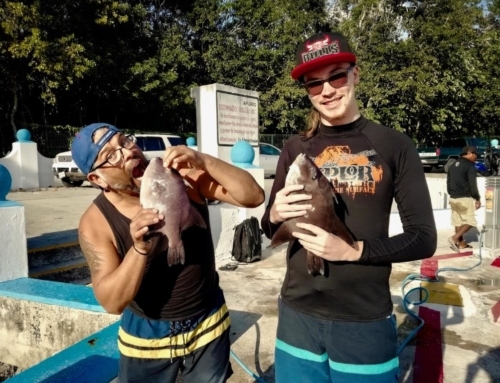 I am owner of Spearfishing Today (we exist 10 years this year by the way), Free Dive and Spearfish a couple of times a week in the area of Cancun, Isla Mujeres, Cozumel, Playa del Carmen / Riviera Maya, Tulum and Holbox. I don’t hunt with a speargun anymore, pole spear only. 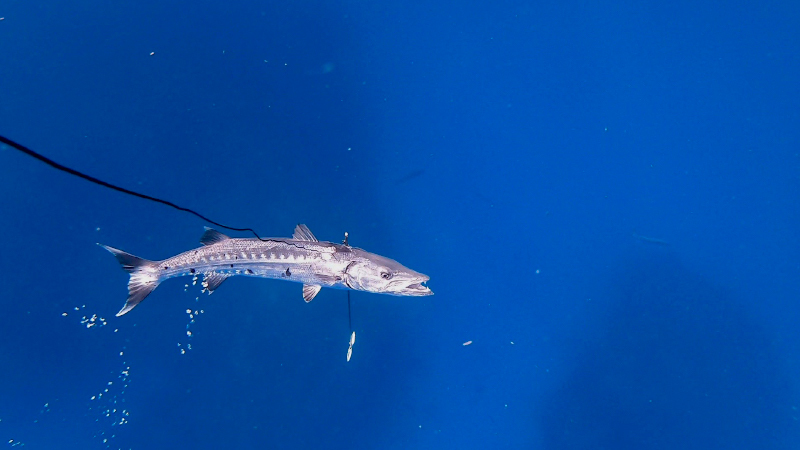 And I Spear Fish Free Dive comfortably in a range between 20 and 25 meters (65 to 80 ft). It was time to renew the Nikon AW130. And I decided to go back to GoPro. Based on the need for action. Doubted about the GoPro Fusion, the whole SpearfishingToday team was dreaming about a GoPro Fusion (360 degrees filming) on a head strap. 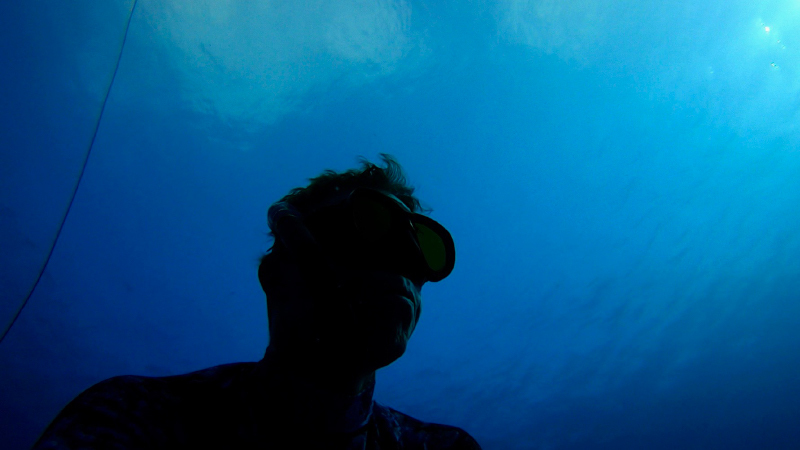 And back home watching the fish that was behind you, but you did not notice while Freediving. The GoPro Fusion is waterproof up to 5 meters / 16 feet and there is no underwater housing available. GoPro added a Free Scandisk Memory card. Thank you! 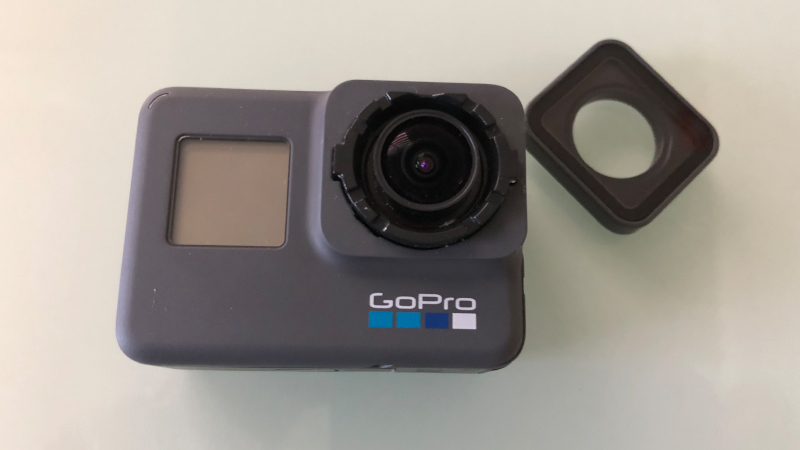 – Only 1 touch on the top of the GoPro Hero 6 Black and you start recording (or taking a picture) right away, so no more first turning on the camera, waiting and then push again to record). There is a slight delay between pushing the button and the actual start of recording, but this feature of the camera is an absolute winner and for that reason on top of my Review. Nice job GoPro! A fantastic improvement compared to older models. – We extract pictures from the videos. That always meant “ooh you took that one with a GoPro“. Say adios to that. Impressive quality of photo extractions. Really. 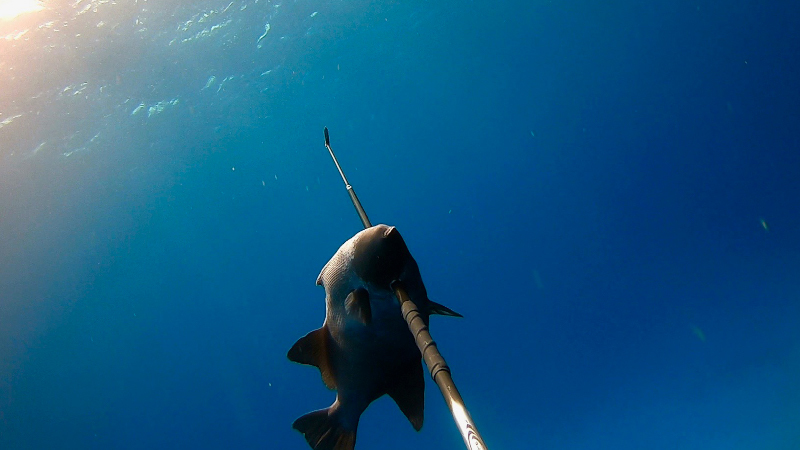 GoPro has a happy client in Spearfishing Today! 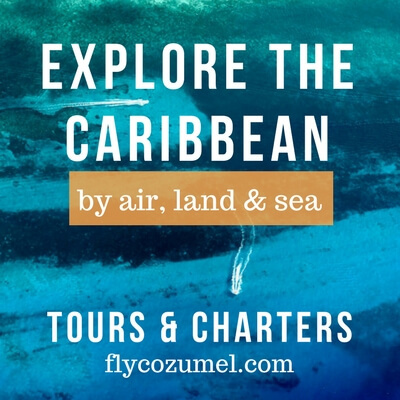 – The touchscreen, wow, sharp and super user friendly. Great job GoPro. Do you remember the times that you had to buy your screen separately? That screen that consumed the whole battery in a couple of minutes and you always ran out of battery. Not anymore. Impressive screen at the GoPro Hero 6 Black. – The wifi connection and the apps are flawless. Fantastic. Easy to use with the iphoneX, easy to edit videos and upload on Instagram for example. Really WOW. Editing and uploading in a matter of seconds. Extracting a photo of a video on your phone? EASY! – The Battery lasts so much longer than previous models. 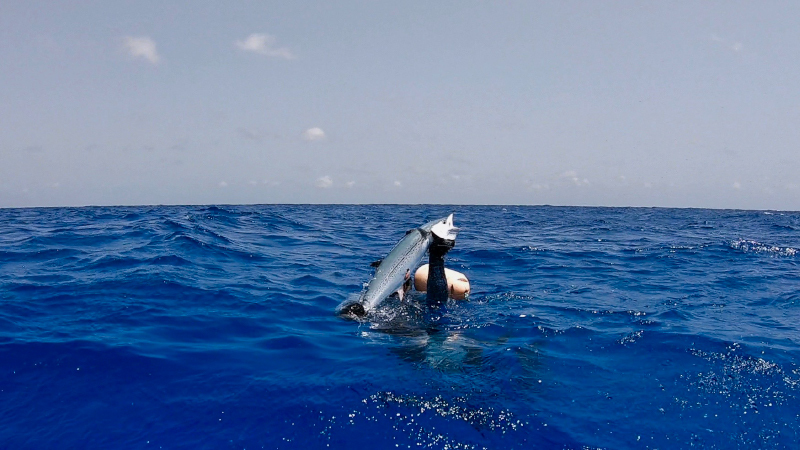 Normally at the end of a Spearfishing trip I had to be careful and record more selective to avoid running out of battery. 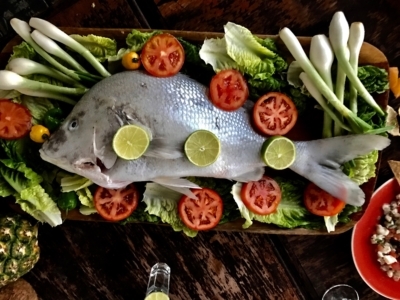 The GoPro Hero 6 Black easily lasts the complete Spearfishing trip and even cleaning the fish will be recorded. Just great! In a Review, of course it should also be said if there are points that we do not like. – The new case leaks. I tried the Super Suit without camera first. All good. First time diving. All good. Second time diving case is leaking a bit. Third time diving: forget it, water in the housing. Very disappointing. Water is coming in at the part of the lens (see the dried salt on the picture) . 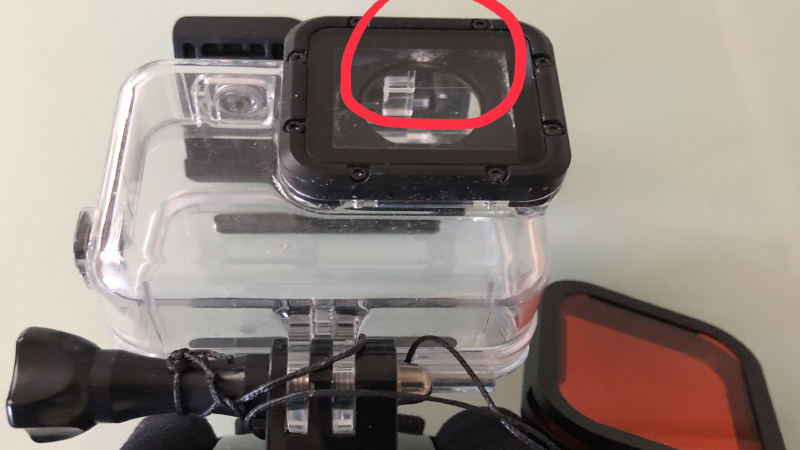 As our experience with the Underwater Housings of GoPro has not been good for over years and for various models, I wont buy a new one. We will limit the use to up to 10 meters (which is a shame). We can not review the voice recording feature as we haven’t used it. Considering purchasing “The Ultimate GoPro Hero 6 Black”… We are happy to answer any questions you have. Comment below or chat through the website.